I sincerely hope that you all had a wonderful time during the festive period and also wish everyone a happy and productive New Year – may the best light be with you. How about that New Year’s photography resolution though? Are you planning to purchase some new gear? Or perhaps finally visit that location on your ‘places to see’ list? Whatever your goals for this year, we look forward to joining you on the journey and continuing to receive the many incredible submissions that we enjoy and publish every issue. As LPM launches into 2016, a recent staff meeting gave me the chance to reflect on the past 12 months. Thanks to your support, LPM is now read in over 140 countries, publishes the work of even more photographers than ever before and, at the time of writing, is about to hit the milestone of 500,000 Facebook followers. 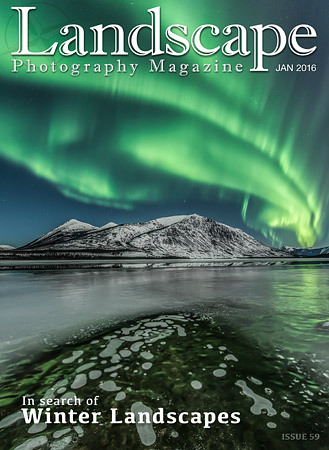 LPM has always been a magazine for you, the reader. I hope what we bring to you over the next 12 months continues to inspire you. Don’t forget that submitting your work to LPM has never been easier. Every submission received is personally checked by one of the LPM team so, if you have been thinking about sending us your work, now could be the time. Just head over to http://landscapephotographymagazine.com/category/submissions and get in touch. Mark Bauer tests the Sigma DP0 Quattro and concludes that this large sensor compact camera, with a true wide angle lens, really is a mixed bag.